The Academic Program is our most comprehensive university preparation program, building a solid foundation of English proficiency and supporting 9 levels of non-native speakers of English. The YUBridge Program, designed for high-achieving international high school graduates, combines English language instruction with academic credit courses. By the end of the eight-month program, you will have achieved the required level of English to enter York University’s degree programs and up to nine credits towards your York University degree. The Destination York program is comprised of two distinct parts: an eight-week Academic English Language Program and admission to a four-year undergraduate degree program at York University. The Spring Break Immersion Program is an exciting 4-week experience to develop your English language skills and participate in Canadian life during the wintertime. The Summer Immersion Program is an intensive three week program where you can develop your English language skills and experience life at York University in Toronto, Canada. The International Business and Intercultural Communications (IBIC) program is an intensive three-week immersion in the Canadian business world for international undergraduate students, designed in collaboration with the Schulich School of Business, ranked the top MBA School in Canada. The Graduate Studies Preparation Program (GSPP) will prepare you for graduate studies while also helping you pass the English component of almost any required entrance exam at Canadian or American universities (IELTS, GRE and GMAT) and help you prepare your application. This intensive program at York University’s English Language Institute is designed to provide you with the legal terminology, language and writing skills you need to succeed in legal graduate study and/or in your legal professional career in Canada. The MBA/Specialized Masters Preparation program is a full time eight-week program designed to prepare graduate-level students, who have high intermediate to advanced English skills, to study for a Master Business Administration (MBA) or specialized master’s program at North American universities. 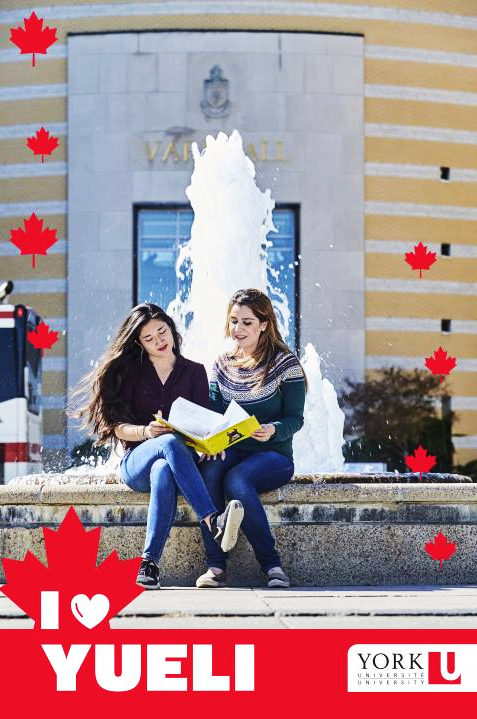 York University’s English Language Institute has considerable experience in designing custom training programs for business people, government officials, scientists, engineers, medical professionals, accountants, and English language teachers. These custom training programs combine a specific professional discipline with the particular English language skills required to communicate in an international context. Our part-time programs are short courses, with four hours per week of direct instruction and additional work completed out of class. Courses are focused on a specific aspect of English, with a tightly organized curriculum and stated learning outcomes that provide a clear indication of what the course is about and what participants can expect. Hosted either at the York University campus or on-site/on location at the partner’s premises, these teacher training programs help to develop the specialized language needed by non-native English-speaking professors and teachers to conduct their classes in English.